Being offered a promotion is usually a welcome and exciting reward for a job well done—usually, but not always. Sometimes, it’s not so welcome, and you’d rather keep the job you have. You might love your current role, for example, or have a great relationship with your manager and your team and want to maintain the status quo. The job might come with management responsibilities that you don’t want to take on or represent a move away from your professional goals and in the wrong direction for your career path. There’s also the possibility that the promotion would be the best possible thing for your career, but that you lack the confidence to take it. In this case, turning down the opportunity could be a big mistake. How do you know whether to take a promotion or not—and what to say if you turn it down, to maintain a positive relationship with your employer? The first step is to figure out how the potential move fits into your plans, and what the impact of accepting or declining would be on your career. The timing of the opportunity may present a challenge for you or your family. Perhaps you are finishing a degree, have a child about to graduate from high school or care for aging parents. Or maybe your spouse has a great job he or she doesn’t want to leave, and the promotion would require a move to another location. All of these factors can mean that a promotion—however exciting out of context—doesn’t fit into your life plans at the moment. You may not think that you are ready for a promotion and would like to strengthen some key skill areas before taking on new challenges and responsibilities. If this is a possibility, consider whether your hesitation is well-founded or based on fear alone. Sometimes, the best way to get ready for a new role is to jump right in. If you would enjoy the work and can bridge your skills gap with diligence and hard work, consider whether you’d be better off taking the role right now. It could also be that a promotion would move you into a management position, taking you away from the part of the job that you enjoy the most. In that case, think about where you’d like your career to go instead. Is it possible to remain in this same position indefinitely? Will your employer allow you to stay put, or is there an expectation that you’ll move up or move on? The promotion may mean that you will be working with a different team. You may prefer to stay in the role you have, working with the people you know well, and you get along with. It could be that you’re going to be given more responsibility without more compensation. While this is a sound reason for declining a promotion, know that some tact will be required when you speak with your manager. You’ll need to make it clear that you’re not trying to avoid more responsibilities generally, and that you’re willing to pitch in to help the team make its goals, even as you avoid taking on an entirely new role for no additional pay. It’s always important to show appreciation for a promotion, even if you don’t want it. When you receive an offer of a promotion, you should immediately respond with an effusive expression of gratitude to show your employer that you appreciate the consideration. Don't turn down the offer without gaining a comprehensive understanding of the nature of the new job and the implications if you do not accept. Ask for some time to think it over. In many ways, accepting or declining a promotion is like considering a new job offer. Evaluate the position as you would an entirely new role, and think about how it will fit into your life and career plans. A quick refusal can send the wrong message to your employer about your commitment to the organization and your work ethic. You may also benefit by taking some time to analyze the consequences of rejecting the offer. Would the team around you provide the right support? Would the additional responsibility, stress and hours worked be suitable given your lifestyle and family concerns? What could happen if you decline the promotion? The company could be fine with you staying in your current position. Or you could find out declining isn’t an option if you want to stay with the company. Your employer may be changing the company’s organizational structure and your job along with it. Employees with a highly valued skill set are less likely to incur negative repercussions, but it could create problems at work. 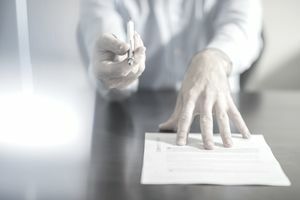 Workers who have jobs that are declining in significance or who are receiving a well above average salary for their role should be especially careful before declining an offer. It may also be difficult to turn down a promotion if you are in a job that the organization uses primarily as a management track position, such as an assistant manager or management trainee. Before you make a final decision, discuss it with your manager to get a sense of what impact it may have on your career path at the organization. If you are sure that declining a promotion is the right option for your personal situation, then devise a convincing rationale for why you should remain in your current role. Mention areas you would like to strengthen first, or reasons for postponing the promotion. Point out the skills that you enjoy using in your current job. Emphasize how you add value and help your team to achieve its goals. Convey your strong commitment to the organization and willingness to work hard in your role. Share your plans for professional development and how you will continue upgrading your performance. Leave your employer with the impression that you are very passionate about your current role and devoted to your work. Above all, focus on the positive when you decline the offer: you’re not saying "no" to the position you're being offered as much as you’re saying "yes" to what you’re already doing right now. For example, if you are a salesperson, speak about your passion for sales and your aim to be the top salesperson. Convey your belief that your strengths are more suited for excellence in sales as opposed to management. In another example, if you are a software developer, you could emphasize your interest in problem-solving and troubleshooting through hands-on coding rather than managing staff. An alternative to just saying no is to try out the new position. You could offer to take on the role temporarily or help with some of the responsibilities associated with the higher-level job if your employer is in need. If you are sure that you want to return to your current job, it’s best to agree on an end date for the larger role ahead of time. It’s also possible that once you take on the higher-level job, you’ll find it’s a good fit and will decide to take the promotion permanently.